StreetFighter entered 2 Mustangs to the event. Our naturally aspirated SFPII (Streetfighter Stage II Package ) and our supercharged SF700S (Streetfighter 700 HP Street compliant package). We are very proud of the efforts of our team to prepare, tune and showcase the two vehicles with only 2 ½ weeks preparation time. 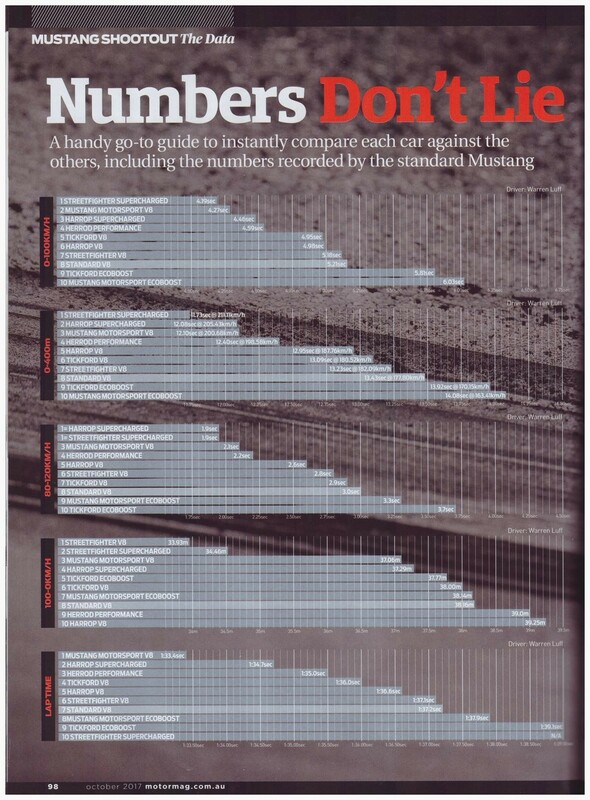 Our SFPII was the top scoring naturally aspirated Mustang at the event finishing behind the supercharged vehicles and ahead of the Tickford and Harrop entrants. “That’s one of the most exciting cars I’ve driven in a long time… quicker than a V8 supercar any day of the week…it’s a car you’ve got to give a lot of respect to. Our SF700S supercharged package won every event until the standard Ford equipment , oil cooler failed. Unfortunately this was at the end of the day on the lap timed event. With a mild lap time needed to be enough for the StreetFighter Mustang to win the whole event we remained disappointed that a factory component (standard part on all entrants’ vehicles) failed. However to put it all in perspective, Luffy and all test drivers were impressed with both vehicles showcasing standout results. Also, due to what seems to be a common problem we are now in development of an upgraded oil cooler for our next outing and to add to the StreetFighter product range. Congratulations Craig Dean from Mustang Motorsport taking out the event with their supercharged Mustang. Great effort from their crew and well deserved. 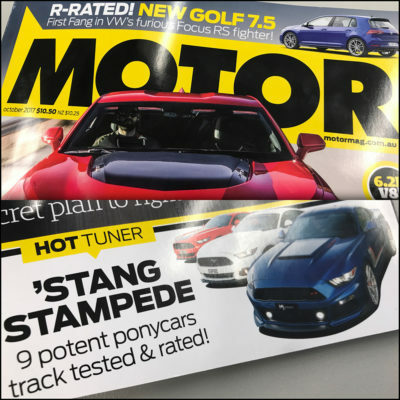 Check out this month’s issue of MOTOR magazine for the full Mustang Shootout write up.